Editor’s Note: This column is republished with permission from its author. To start the new year right, let’s put to bed the ‘Is Jack Daniel’s bourbon?’ argument once and for all. The makers of Jack Daniel’s have believed this back to and including Jack himself. 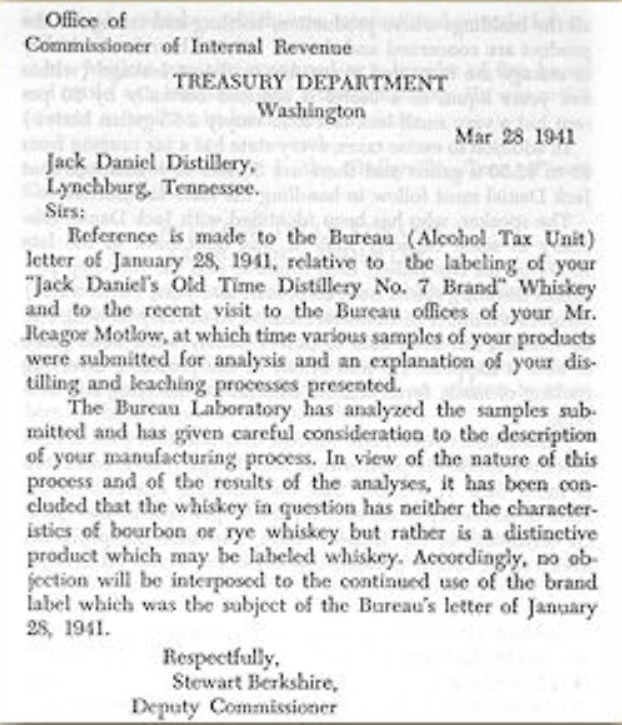 Many years ago, the company took steps to prevent the Federal government from forcing them to call their whiskey ‘bourbon.’ That is why some people insist that Jack Daniel’s is bourbon, because it meets every legal requirement. ‘Bourbon in all but name’ is another way of saying it. So why isn’t Jack Daniel’s called bourbon? The answer goes back to the Repeal of Prohibition in 1933. 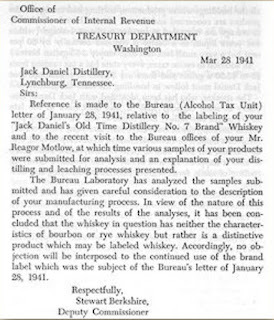 When the American distilling business restarted, new rules were put in place. They defined different types of distilled spirits in great detail and required producers to use the type classifications that most closely described their products. If your whiskey met the standards for bourbon you had to call it bourbon. At least, that seemed to be the rule.